These sheets bring the most amazing feel to your bed. It's like getting snuggled all night long, but with the freedom to move around whenever you feel like it and no numb arms!! Seriously you will never crawl into a cold bed with these bad boys on your mattress and they make a silent buffer whenever your partner decides to toss and turn 40 billion times a night. The only down side I must say is that it's 2 if not 3 times harder to get out of bed in the morning. They just take hold of you in a way that your morning ambition cannot. It's like getting a GIAGANTIC HUG from your bed once your alarm (or baby talking in my case) goes off as it pleads "don't leave me!" These are seriously on my bed 9 - 10.5 months out of the year. 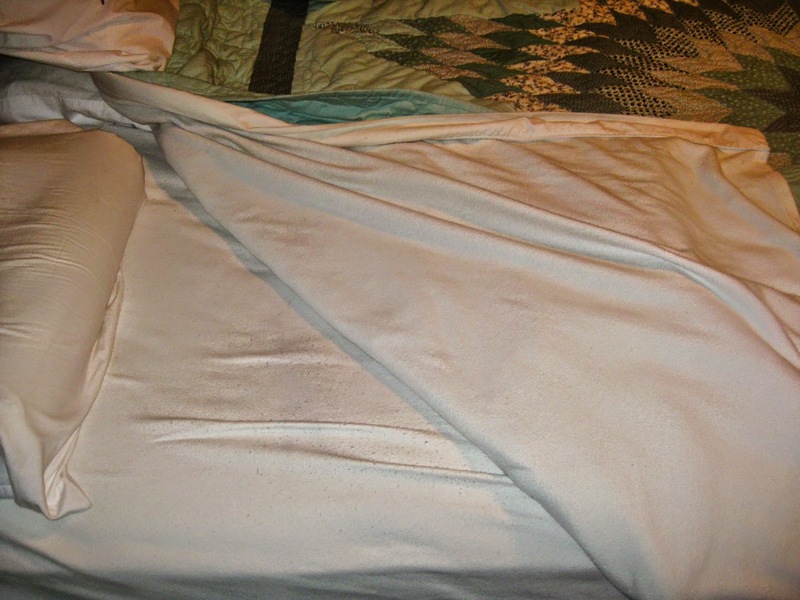 In fact it usually comes down to my hubs' boiling point of frustration for me to change them to our summer sheets. I love them! This is more of a comfort memory of growing up. 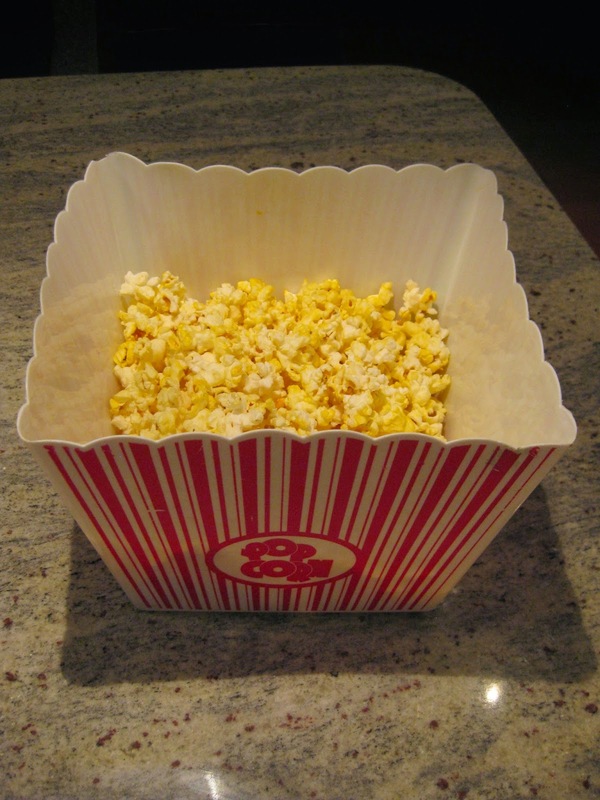 My dad made popcorn pretty well every single night and this still seems to continue to this day. He added tons of butter and salt which made it insanely healthy DELICIOUS, even better a day or two later where the butter could really ferment (probably not the right word choice). It's like a hug for my belly whenever I eat it at night. More especially if it's put in a big metal bowl, as that's the type of bowl my childhood popcorn resided (it made it awesome for scraping butter and salt off the sides!). Of course we rarely use that kind of bowl at our house because how can you not use the bowl that is specifically labeled "popcorn" right on it? Whoever marketed that idea was a genius; the container itself pretty much guilts you that 'this is where popcorn has to go!' Whenever I'm feeling really rebellious though I totally bypass it on the shelf and go for a different bowl. I know I hurt its' feelings, but seriously give me my agency back will ya?! We lived off all hand me down free-bee's when we rented (That's a lie - our mattress was brand spankin new). 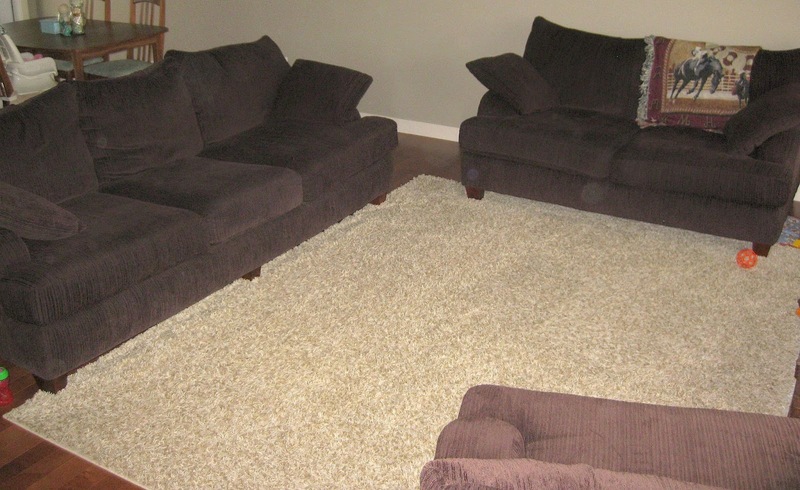 Then we bought a nice newer home last year, so we decided it should also have nice new couches to match. Holy cow were we in for a rude awakening to the price of buying new things. But, we did look for deals and thanks to my awesome haggling skills (I really shouldn't brag... but ya, I can totally hold my own. The key is your acting skills, playing up the 'well I don't really need it' attitude... I may have a dishonesty problem) we were able to score these couches for reasonably well, even lower than the sale price with extra's added. Though we both gulped at the price we dished out originally for these, I must say that thus far they have been worth every penny hundred dollar bill spent. I realize they are not everybody's cup of tea (especially those with good posture or back problems), but they are perfect for snuggling and lounging about!! It's like having a beds in your living room disguised as couches. They are super comfy and because of the wide seat length my feet don't touch the floor when I sit back, so I feel oh so little on them (like I'm being held by a giant). My hubs and I can even have naps on them without having to spoon (this has only actually happened a few times because if I nap I wake up a bear - an angry, bitter, irritable, frustrated, saddened, perplexed, delirious, helpless cute little bear). So many family memories have already been made on these couches - reading our daughter stories, cuddling her late at night feeding her frozen grapes (excellent for teething), tickle fights, long snuggles as a family catching up on each others day, tons of reading, tons of youtube video watching... They've just been a nice little addition to our lives as new parents and homeowners. Plus they make me feel like I'm more mature than I am, I really don't why, but they just do. Heavensslice is being in a state of comfort.